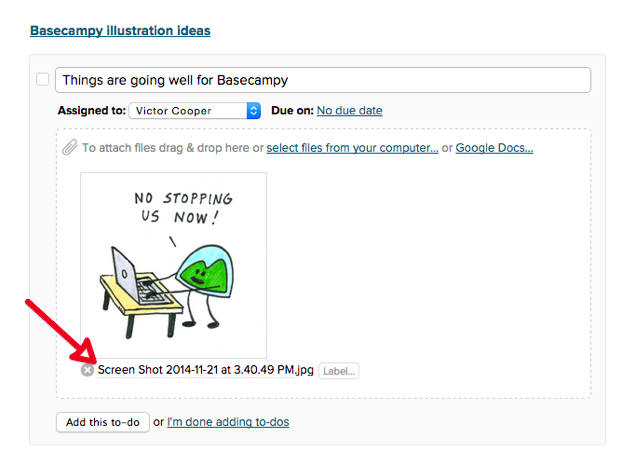 Basecamp 2 makes it easy to share files, like images or spreadsheets, in your projects. 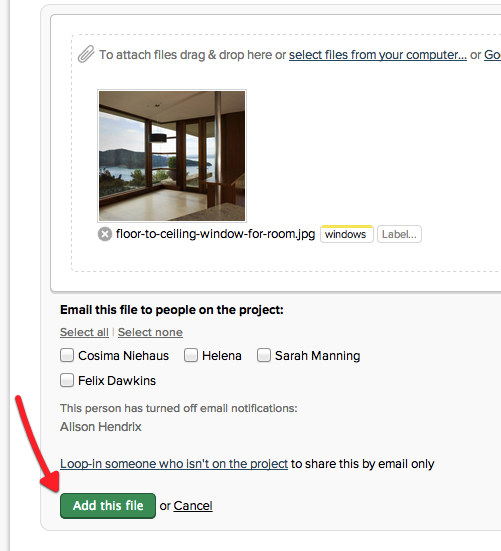 You can add a comment to any file, or loop in someone if they're not on the project. From the files area of your project, click the "Upload files" button. It's on the top-right of your project. The size limit for a single upload is 10GB. Drag and drop a file from your computer into the browser. Or use the "Select files" link. Dragging and Dropping is not supported in Internet Explorer. Once you've chosen your files, click the green "Upload" button. Didn't mean to upload that file? No worries! Delete it! 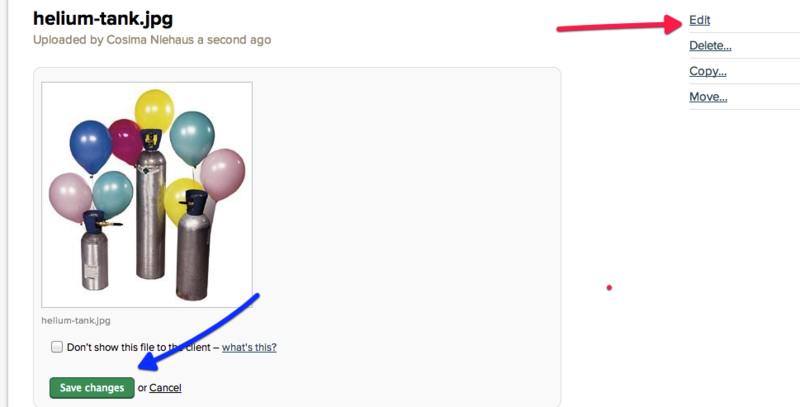 You can attach files to comments and messages. 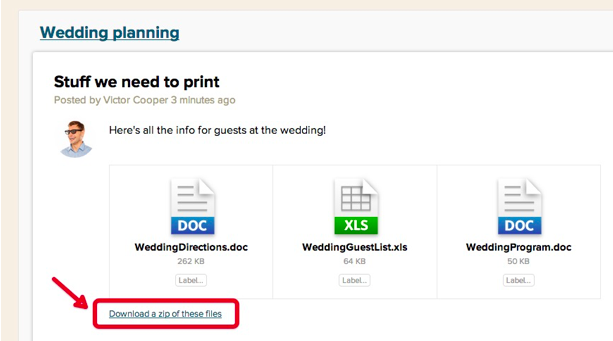 You can also attach files directly to to-dos. The "Edit" link on a stand-alone file will let you update the privacy setting to hide the file from the client on the project. It won't let you edit the file contents, though. You can download all files attached to a message or comment by using the link at the bottom of the message or comment. Video and sound file playback depends on your web browser's capabilities. For best results, we recommend using Chrome or Safari. If you use Internet Explorer, you'll need to install Adobe Reader to view PDFs in Basecamp. 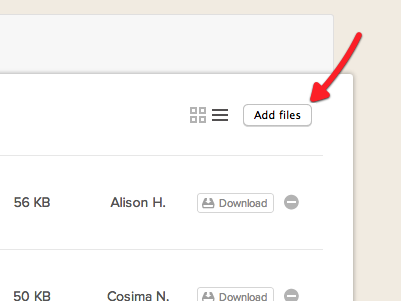 Basecamp 2 lets you view your files in a grid or list. You can sort your files by type/label and file size, name and upload date. List view shows you the file size and lets you directly download or delete the file. You can filter your files to find them by file name or extension. 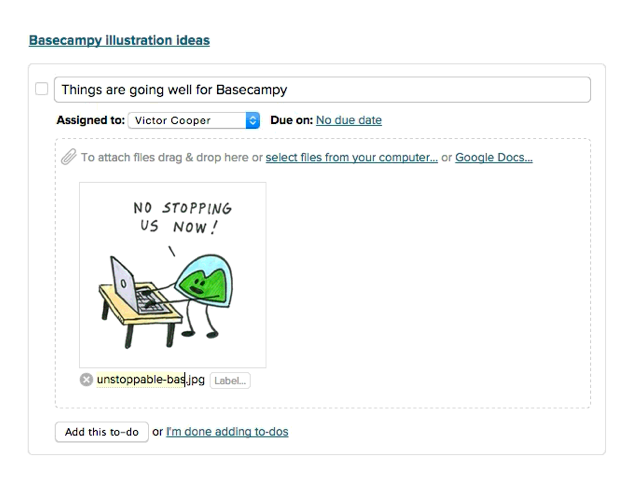 Just type in the filter field and Basecamp will find matching files. 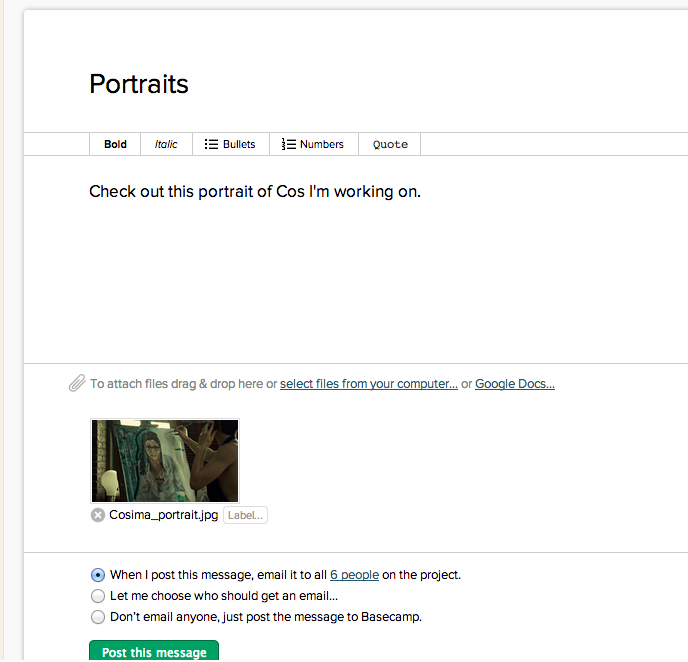 You can rename files when you upload them, or after they have been uploaded to your project. 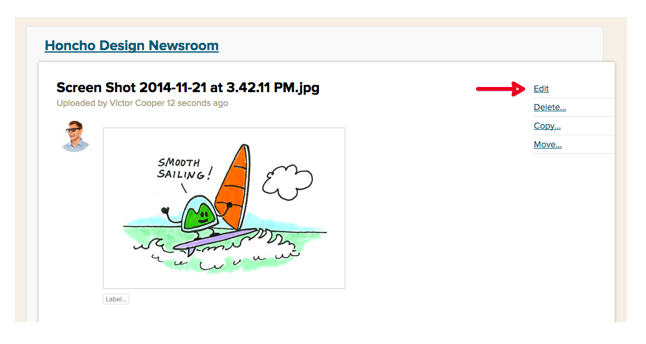 When uploading a file, click on the current file name (below its icon or thumbnail). Type the new file name, then upload as usual. To rename a file that has already been uploaded, go to the file's page, then click Edit.